Continuing our love for all things animal print, Love Frankie are here to charm you with our NEW Serpent Snake skin Linen Lampshade paired with our best selling ambient metallic Copper lining. 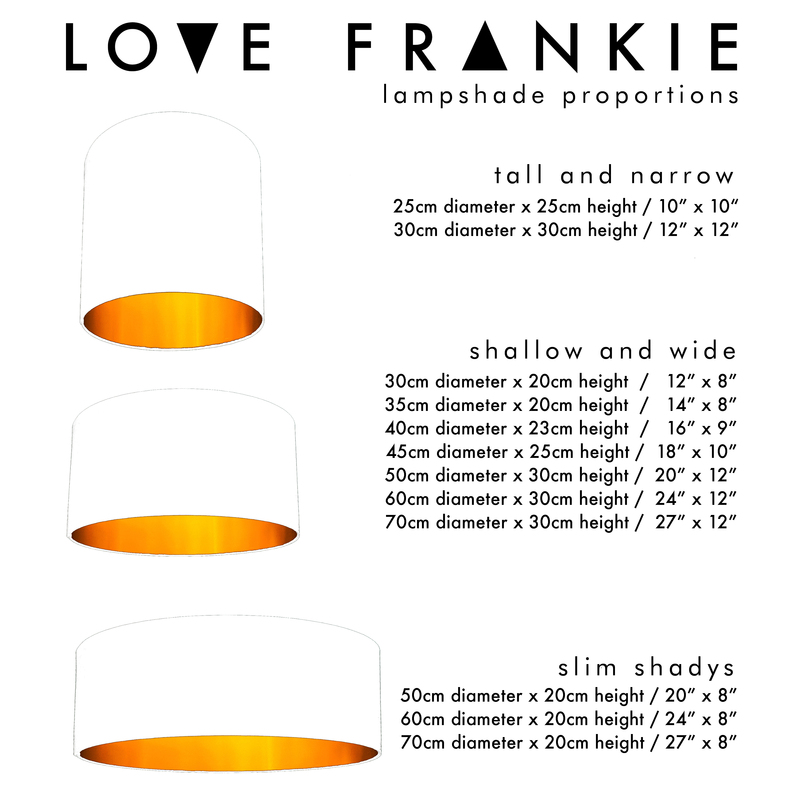 Three layers of materials are used to make our Metallic lined shades; the foil lining, the pvc, then your chosen fabric. 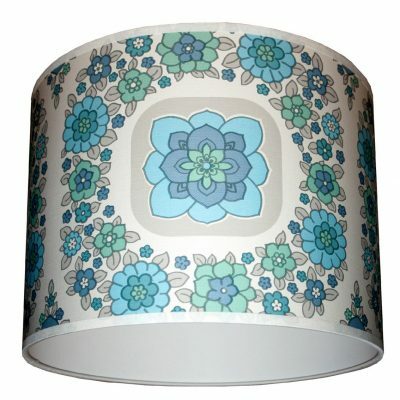 This allows the colour on the outside of the shade to stay lovely and rich. 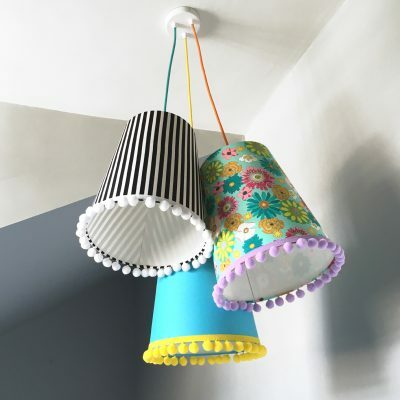 Please be aware however, that no light permeates through the sides of the shade. 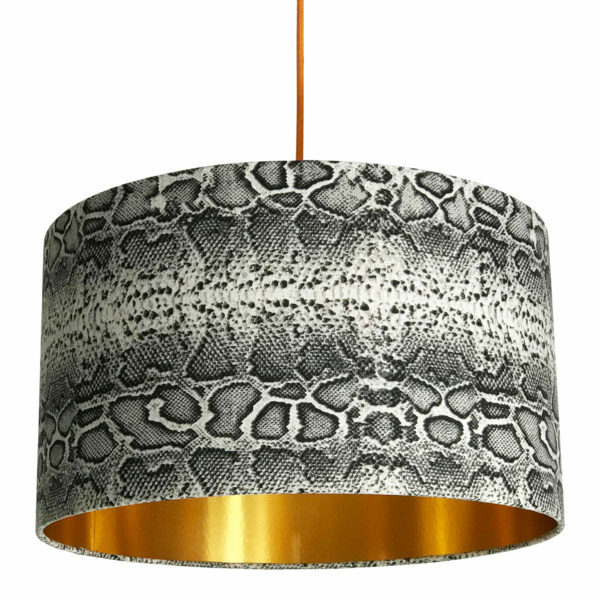 The light is directional so will reflect off the copper or gold foil giving you a wonderfully warm ambient glow from the top and bottom of the shade. 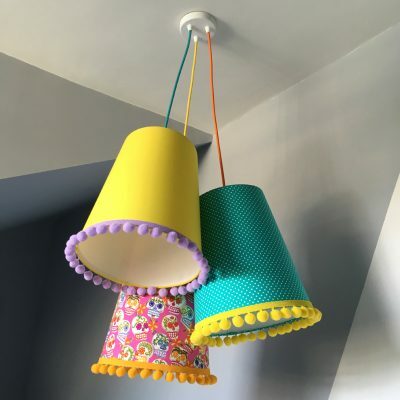 Therefore the amount of light from the lampshade will depend on the size of the shade you order, ie: the bigger the shade, the more light you will receive. 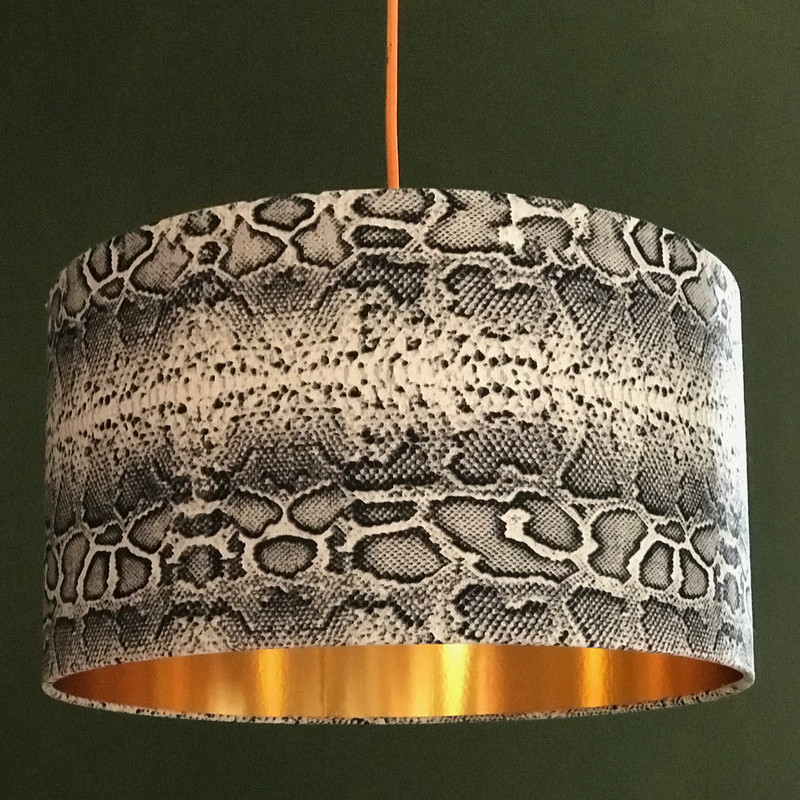 Vamp up your interiors with our newest animal print lampshade design. 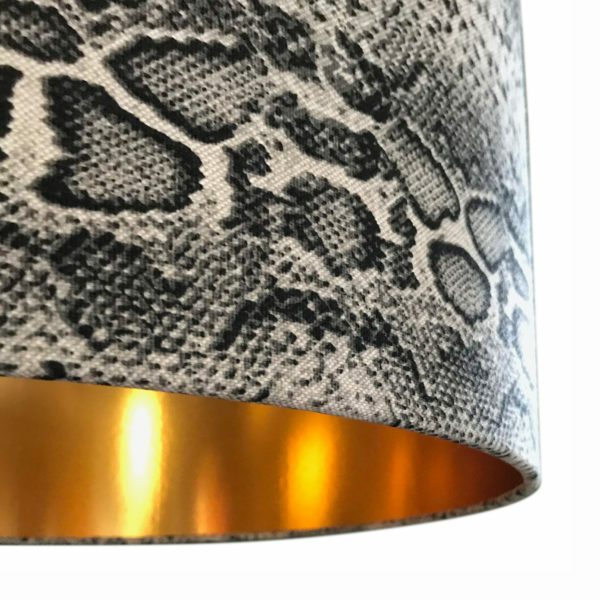 Our Snakeskin Lampshade made from 100% linen pairs wonderfully with our ambient Gold lining injecting a touch of gothic glam to your homes. Don’t let this one slither away.. 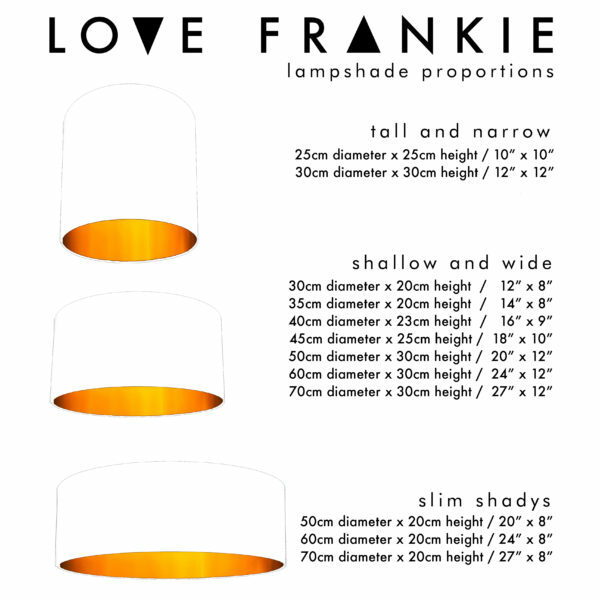 Handmade Lampshades from Love Frankie are made to order in a variety of different sizes and fabrics.